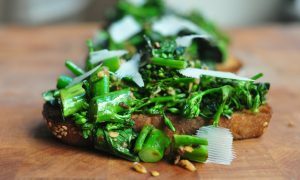 As a rule, summer is the time for simple foods, cool foods—crisp salads, raw vegetables dipped into creamy cold things, icy glasses that leave condensation marks on your table. Watermelon everything. But there are exceptions: juicy burgers, fluffy baked potatoes, pretty much anything cooked on an open flame outdoors. There is also the great fruit pie exception. Who doesn’t want a slice of jammy pie at the cookout?! But pie can be intimidating. And I get it. There are rules. It takes time and attention and we don’t want to be disappointed. Enter the crostata. 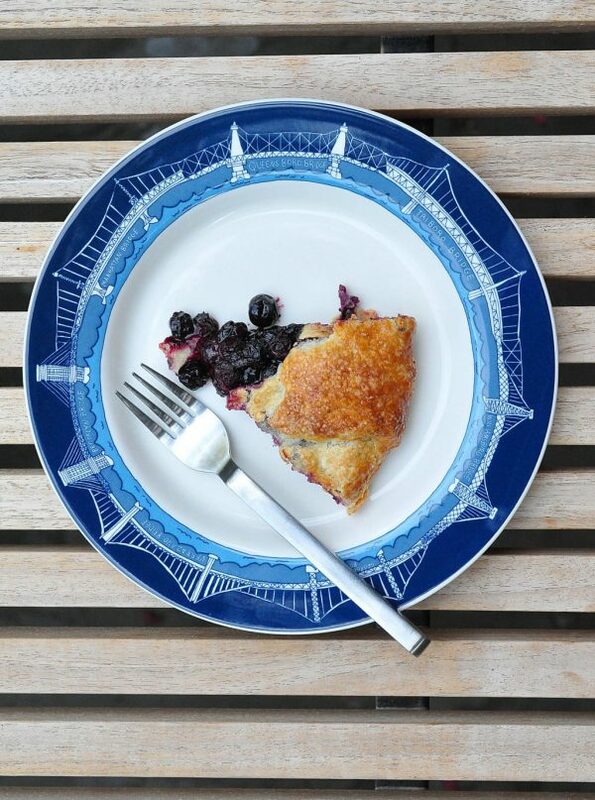 You can fill it with any fruit, but today we’re going to make a juicy blueberry crostata. Crostata is a simple Italian tart. It’s short crust pastry (otherwise known as pie dough) rolled out like you would for a pie, with filling dumped into the middle. Then you just pull the edges of the pastry up around it to form a very casual —rustic is probably the right buzzword to use— free form tart. You brush it with egg wash and a little sugar for cuteness and bake. That’s it. Simple, you just have to follow the rules and don’t try to get too fancy. 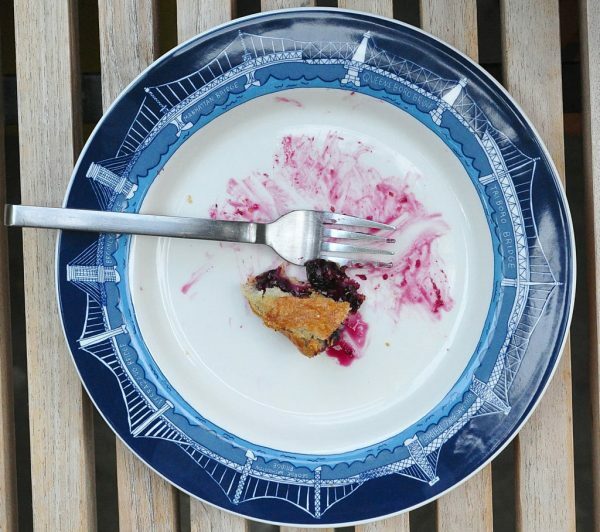 Crostatas have all the elements of a pie, flaky crust and gooey fruit filling, but you don’t need a pie dish or quite as much pastry, and it is quicker to prepare. I also find that the bottom of the crostata is usually more crisp and flaky than with a normal pie where a soggy bottom crust can so often be the outcome. This is my favorite method for making a short crust pastry without using a food processor, all you need is a box grater. This is all done by hand, but it’s quite fool-proof. As ever you just want to work quickly, your hands and work surface and everything should be as cool as possible, and don’t worry about making the dough perfect. Shaggy, not quite mixed doughs make the flakiest pastry. To fancy this up you can add a crumble/coffee cake topping to it. 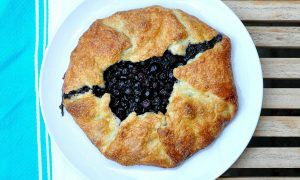 Or you can put a layer of pastry cream or chocolate cream or lemon curd or frangiapane (almond cream) underneath the blueberries. 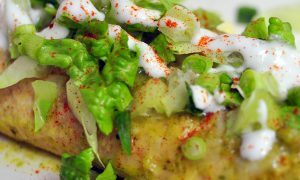 Alternatively you can serve it with a dollop of these creamy things or just whipped cream or coconut cream. So if you’re brave give those a try. Maybe one day I’ll get to sharing all these variations, but for now keep it simple and you’ll be so impressed with yourself! 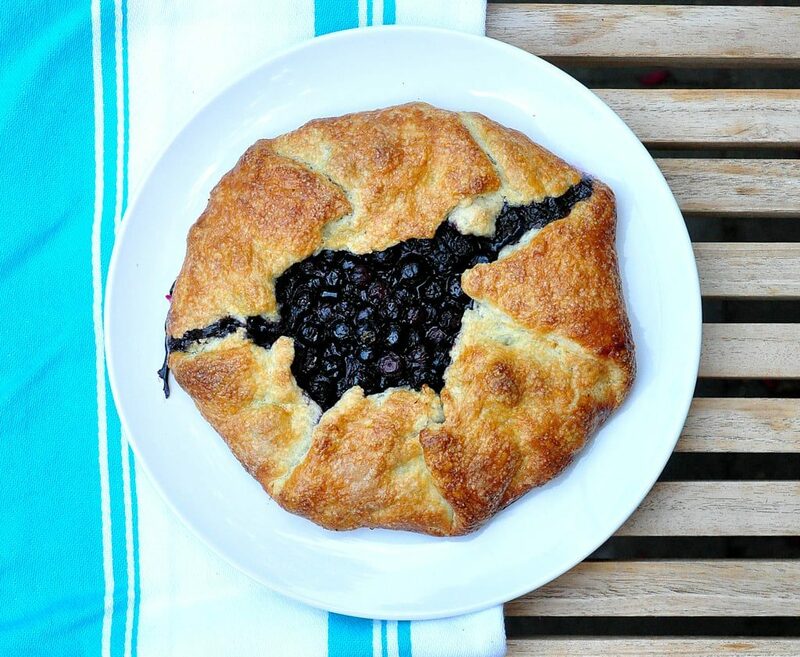 A rustic Italian tart featuring a short crust and jammy blueberry filling. Place the stick of butter in the freezer for 20 minutes minimum, but an hour is better. In a medium-sized bowl add the flour, salt and sugar and stir a couple of times to combine it all. 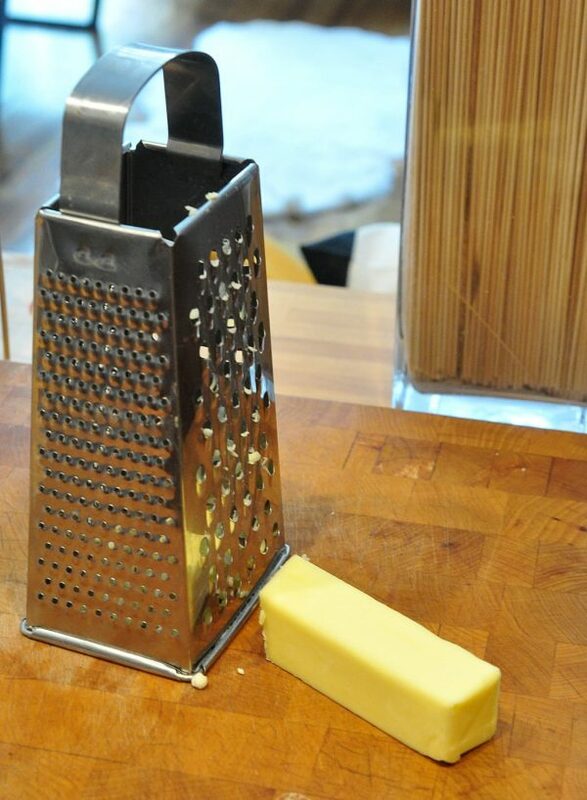 Take the butter out of the freezer and use a box grater to grate the butter. Like in this image here. Use the side with the largest holes like you would for cheese for nachos. You want bigger curls of butter, not teeny tiny fragments. 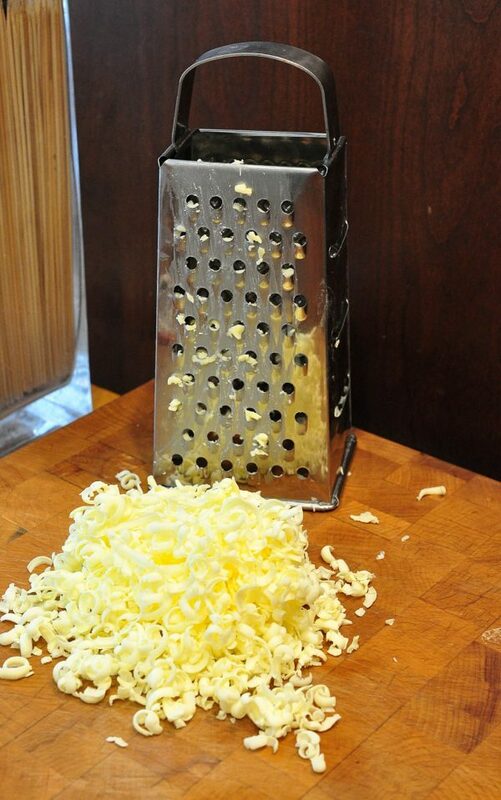 Grate it as quickly as you can because your hands give off heat and you don't want the butter to melt at all. It should look like this. Quickly add the butter into the bowl with the flour mixture and crumble it up with your fingers for 15 to 20 seconds. Add half the water and mix it quickly with your hands. Add the rest and mix again, then quickly and confidently bring the dough together into a ball. 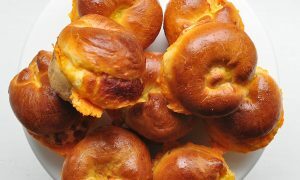 It does not need to be perfect, just make sure the dough all comes together into a lump without excess flour everywhere. Use a few more drops of water if you need to. Sometimes a drier climate can change the amount you need. Once it has come together quickly shape it into a disc and take your hands off it. Cover it with plastic wrap or a moist towel and place it in the fridge for 20 minutes. Set the oven to 425 F. Line a cookie tray with parchment paper or a silpat. Do not skip this step. It really sticks to the pan if you don't do this and you don't want to lose any of your delicious crostata! Now make the filling. In another large bowl add the blueberries, cornstarch or flour, zest, lemon juice and sugar. Mix it all together and leave it. 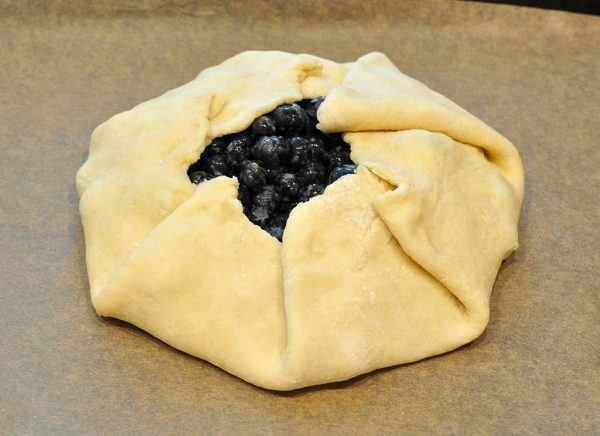 Once your pastry has chilled for at least 20 minutes (longer is just fine), take it out of the fridge. Sprinkle a clean, dry surface with flour and place your disc of dough in the centre. Now roll it out with a rolling pin, gently press the rolling pin down and straight in front of you to flatten it. Once you have rolled it out a few times, turn it 90 degrees and flip it over and roll again. If it is sticking to the surface you are rolling on, sprinkle some more flour underneath it and on top. Continue with the rolling, turning it 90 degrees and flipping it technique until it is rolled out to about 10-12 inches in diameter. Transfer your rolled out pastry to the parchment paper lined tray. Dump the filling into the middle of the pastry leaving at least 2 inches of pastry free of filling all the way around. Now pull up and fold the 2 inches of pastry up and around the filling to cover the edges and make a sort of rim. It will kind of look like a pie where the crust has fallen back over the filling. Just like this image. In a small bowl crack an egg and quickly beat it with a fork. Brush the beaten egg all over the pastry. This is the egg wash that will make the pastry look golden brown when it bakes. Now sprinkle the tablespoon of sugar over the pastry. This is your crostata! Bake the crostata on the lowest shelf for 35 minutes. By placing it on the lower shelf you can get the bottom of the crust as crisp as possible, since it can end up soggy with all the juices seeping into it. Remove the crostata from the oven and let it cool for about 20 minutes before you try to remove it from the pan. 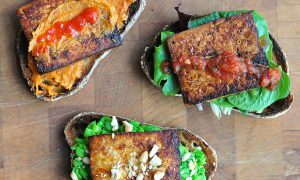 Cool completely and place in the fridge for later, or serve right away. Don't be shy about eating the whole thing in one sitting. That's what you made it for!